In 2006, some big Hollywood hitters came out to play, by which we mean Clint Eastwood, Martin Scorsese and Michael Mann. Each of their recent films are highly represented in our 2006 World Poll, but, significantly, with differing emphasis. Eastwood’s Flags of Our Fathers and Letters from Iwo Jima, together or individually, uniformly figure amongst the best film(s) of the year. Scorsese’s The Departed was the most nominated film across the entire poll, but with an important proviso. Because the Senses World Poll is not, strictly speaking, a ‘best of list’ and contributors can and do generate their own categories (underrated, overrated, disappointments, etc. ), Scorsese’s film ran the gamut of opinion from positive to negative in a way that Eastwood’s films did not. There was a general consensus about the quality of Eastwood’s films that Scorsese’s lacked. Mann’s Miami Vice shares the same fate as Scorsese, a higher number of mentions than Eastwood’s, but, again, less agreement about the film’s standing. That there’s a greater consensus about Eastwood’s place in this triumvirate of esteemed American filmmakers offers pause for reflection. In 1978, Film Comment (Vol. 14, No 1) devoted its cover image to Eastwood’s The Gauntlet, and ran an interview with the director by Richard Thompson and Tim Hunter provocatively titled “Clint Eastwood, Auteur”, and this at a time (almost three decades back now) in which there was far from any critical consensus about Eastwood’s auteurist credentials. The tide only categorically turned in his favour after 1992’s Unforgiven, by which time most (but not all) critics endorsed him as the genuine article. In comparison, both Scorsese and Mann, in their own ways, ascended to auteurist status much more rapidly and uncritically. But, right now, the irony may be that it is Eastwood who has a greater certainty about his place in the history of American cinema than Scorsese or Mann. 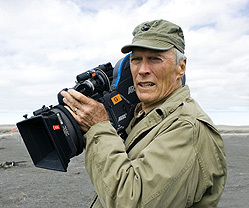 Eastwood’s admirers often grant him the gravitas (if not the stature) accorded the veteran directors of the classical era, like, say, John Ford, Howard Hawks and King Vidor, who happen to be the subjects of Tag Gallagher’s “American Triptych”, an excellent study on the religious and secular currents that flow through their work. Of course, there are those who beg to differ. Such as Jean-Baptiste Thoret, whose excellent essay on Miami Vice makes a case for Mann as “the greatest contemporary American filmmaker”. And, no doubt, Scorsese will never be short of admirers. A good portion of this issue is devoted to auteurism in own form or another. Mention has already been made of Gallagher on Ford, Hawks and Vidor, about whom there is also a new Great Directors entry (along with Rouben Mamoulian, Alejandro Jodorowsky, George Romero and Guy Debord). Furthermore, Holger Römers contributes a fine study of Frank Borzage’s Moonrise. One of the advantages, though they may not like it, of catching a director between films is that they find time to commit their thoughts to print. Australian director Richard Franklin – between films! – ponders the vexing question of why there are so few films that accurately capture a director in the practice of his or her craft. Given the vagaries of international distribution, Michael Haneke’s Caché (Hidden), which had a presence in our 2005 poll, reappears prominently in the current poll, so much so that it is second only to The Departed in the number of mentions received. And, in one sense, like the central character of the film, it continues to haunt film scholarship. Helen Macallan and Andrew Plain’s “Hidden’s Disinherited Children” provides an intriguing dissection of the film’s narrative enigmas and lacunæ as the authors unravel the film’s moral fabric strand by strand. We are also pleased to run in this issue in-depth interviews with Amos Gitaï and Christoph Hochhäusler. One is a long-standing filmmaker of socially and politically committed cinema, the other one of the emergent talents of the newly vibrant German cinema. Both make for illuminating conversation. Finally, our thanks go to all our writers and, more generally, to the many contributors to our World Poll.